This month’s CNC Build Club meeting will be a demo night. Bring something to show. It can be a project you finished, something you made, a work in process or something we might think is cool. I will be bringing several things I have recently completed. The bipolar ORD Bot: This is a CNC machine I built for 2015 ORD Camp. 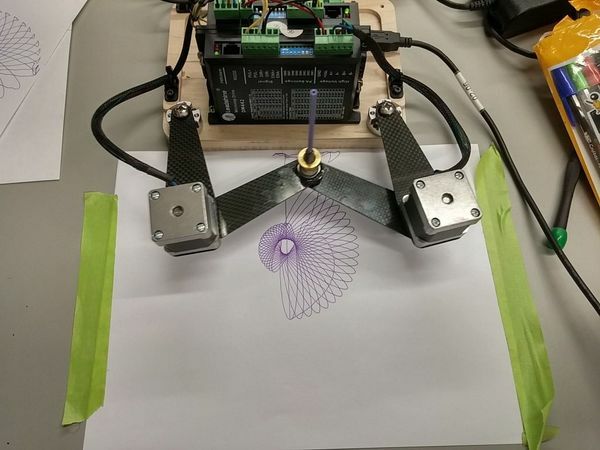 It is a super simple drawing machine with some fun math behind the motion. 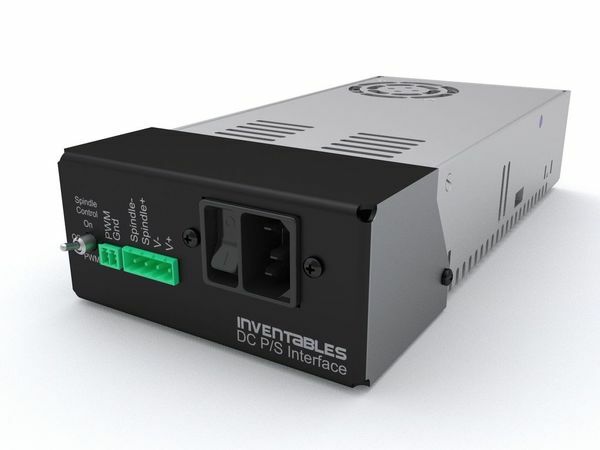 The DC Power Supply Interface: This is something I did for Inventables that we will be selling soon. 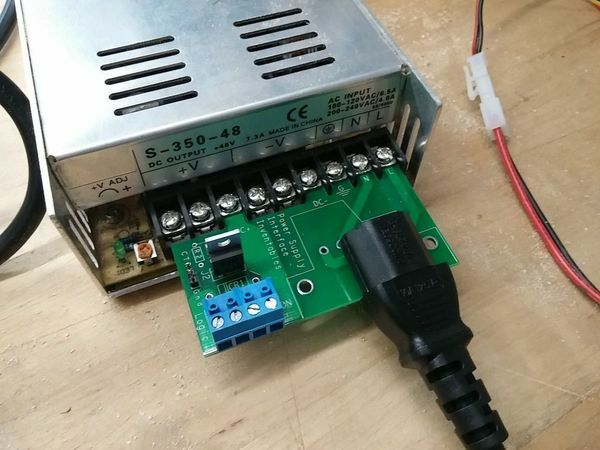 It really cleans up the wiring when you use a DC power supply on a CNC machine. 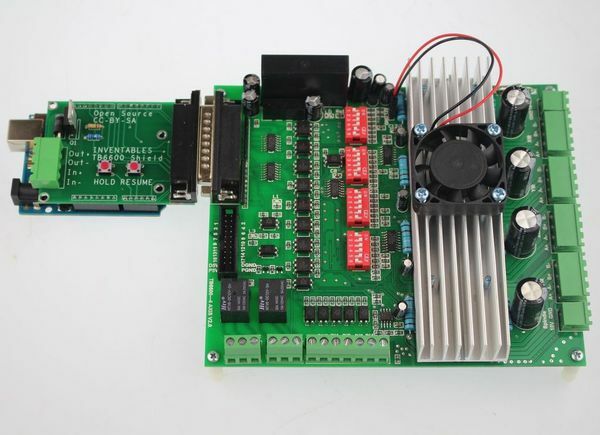 The TB6600 Stepper Driver Shield: This is another Inventables project. The TB6600 can do a ton of cool CNC stuff. Now you can interface it to the free grbl CNC controller. The CNC Club is a monthly meeting of Chicago area people passionate about learning, building and using digital fabrication equipment. It is held at the Pumping Station One Hackerspace. It is open to non members. We also have a Google Group called CNC Build Club. Each meeting we talk about, build, train on and use CNC machines. We have 3D printers, laser cutters, CNC routers and vinyl cutters. Come out and join the fun. Please RSVP on Meetup. I will have a CNC or Inventables related door prize to a random person who RSVPs and is present at the meeting. CNC Club is doing one of the best practice to encourage people to use the CNC machine. CNC machine is the best fabrication equipment to use for the pumping station, 3Dprinters, Laser cutters, CNC routers, Vinyl cutters. Easily interface with the small projects to interface with the cleans and wiring to use a DC power supply. Machine design and principle are simple and super motion with the digital fabrication equipment.